The world of mobile apps is here to stay, and in a big way. Let’s look at some examples of mobile apps that have facilitated massive growth for global brands, and look at how our ever-increasing engagement with smartphone technology is changing the way we do business. For the average Australian, it can be hard to drum up interest for the diamond fielded sport of baseball. But the Major League Baseball mobile app is worth checking out for anyone interested in monetising app technology. At Bat is a thing of beauty, both elegant in design and smartly structured in pricing. Almost every game can be streamed live and every match is archived for later watching. The pricing structure is enticing, making it reasonable for a casual fan to up their commitment as their team hits the finals series. For any digital marketer or app developer looking for guidelines on how to structure freemium style pricing, MLB is the muse you’re looking for. In fact, between 2016 and 2020, the number of yearly downloads is expected to double to about 284 billion. 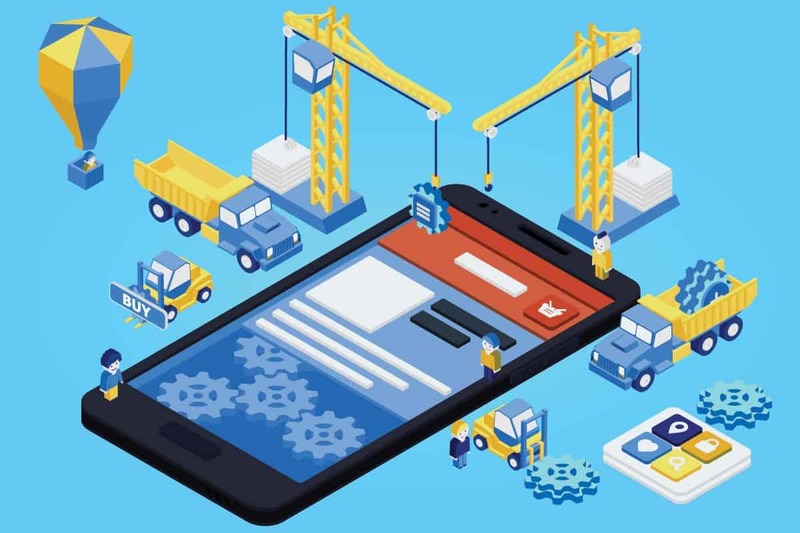 It’s absolutely incumbent for companies of all sizes to ensure they can leverage mobile technology to benefit their business, whether this is through developing an app with EB Pearls or updating their website design. Remember back in 2014 when Facebook acquired WhatsApp? Many have debated since then whether the $19 billion price tag for what amounted at the time to a gloried SMS app was really worth it. In 2014, WhatsApp was growing at an outstanding rate. Though it had less than half the users of Facebook messenger, there were about a million signups a day. It was one of the few apps that actually posed a threat to Facebook messenger as an online instant messaging platform. The acquisition of WhatsApp was about more than just signups. As Google’s own new chat app ‘Allo’, showed, integrating AI into chat conversations is just the tip of the iceberg when it comes to utilizing messenger apps for business. As our homes become integrated by smart hubs like Alexa and Google Home, the power of conversation as a gateway to business growth can be harnessed to improve both customer retention and, ultimately, downloads and sales. The Uber app and Google Maps need no introduction. Both are widely successful at doing what they do. But there’s more to it than booking a ride home from the pub or looking up your next investment property. Not only does Uber leverage maps technology, you can also book an Uber through the Maps app and even use the same technology that temporarily connects you with your driver to share your location live with a friend. Though it doesn’t happen often, when two apps get on the same page and start collaborating, there’s a lot to be gained. IRDX RASO, or ASOS as they are better known, is a global fashion brand and online retailer that firmly believes in the power of free shipping and the mobile experience.Through a mix of their own labels and other collections, ASOS has seen massive growth in mobile shopping in particular over the last few years, contributing to their growth as a global fashion retailer. For companies of any size this kind of growth is astounding, and it’s the push to mobilise the user experience that has helped ASOS become a powerhouse in global fashion retail. It’s hard not to like pizza, but how do you mobilise growth on smartphones for something as simple as an Italian slice? Global takeaway brand Domino’s has led the charge in using self service mobile apps to improve the entire customer experience. Ordering through Pebble, Android Wear and Apple Watch. Dominos shows us how apps can be used to provide efficiency of service. With so many orders happening online, Domino’s staff are free to spend more time making and delivering pizzas. That’s one way this global brand is facilitating excellent growth through mobile technologies. Order-ahead apps improve customer loyalty, increase ticket size per purchase and raise purchase frequency. This equates to an additive effect for QSRs using order-ahead. It’s more than just a replacement for in store ordering… order-ahead is a value add. UberEATS, Deliveroo and Menulog are just some of the examples of order-ahead and food delivery technologies driven by powerful mobile experiences. Utilising mobile technology when it comes to business development, lateral expansion and growth can provide a myriad of benefits. From increasing customer orders, to improving customer retention and expanding brand awareness, mobile technology prompts both potential and current customers to engage (or continue to engage) with your business. Contact EB Pearls today to discuss the future of your business through mobile technology.